It is important to choose the right billing service for your office as it can directly affect the reputation of your business. When selecting a medical billing service, it is crucial to consider every aspect of the selected software. There are a wide range of options that you can avail. Medical billing software helps you retain control because it builds trust by executing medical codes and RCM duties. You can have a hands-on control of financial operations through this in-house billing system. Bookkeeping is fundamental when installing the medical billing software as it can maintain complete records of patient transactions. An in-house billing system allows you to generate a return on investment (ROI) through a valid infrastructure. There are a number of software options that can be used for medical billing services by doctors or physicians. They include Kareo, MedClarity, and NextGen Healthcare. The comparison of these three software is discussed below. Founded in 2004, Kareo is one of the best software choices that can support your in-house billing process. Web and mobile applications easily manage patients and any complications that come along with billing insurance. Kareo is a proven platform as the potential providers are more than 40,000. It can automate the entire process so that patients can pay even faster than they can from an outsourced billing process. It also allows patients to pay their bills online. The starting price of this medical billing software is $74.50/month/user. By using this software, you can enjoy different features such as management of claims, patient payment history, payment processing, remittance advice, statements, collections, and practice management. The product can be deployed through Cloud, SaaS, and the Web and can be installed through Windows and mobile devices that have a iOS Native. The physician practice ranges of Kareo are from 1-10 providers and medical billing companies with 1-100 providers. MedClarity is a powerful and easy to use billing software that has been designed to increase the profitability and productivity of an organization. The popular medical billing software was founded in 2002. It provides complete transparency and control over the cycle operations of practice revenue by insightful reports. This medical billing software ensures that the process of payment is faster as it comprises of the leading engine rules of industry and denial management tools. It is a cloud-based software and perfect for any type of specialty or practice size. It can also be deployed through SaaS and the Web. It is an online service and can be used for medical billing 24/7. 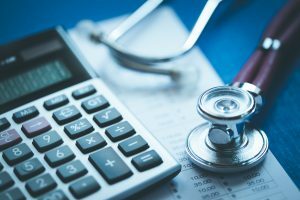 It consists of a number of medical billing features which include estimates of billing, claims to scrub, managing the claims, code/charge entry, and patient eligibility checks. In addition to these features, MedClarity can also provides the patient payment history, processing of payment, practice management, remittance advice, statements, and collections. This medical billing software proves to be an accurate service for all medical practice sizes and specialties that are looking to reduce the denials, optimize scheduling, and generate actionable reports in order to have greater control over their revenue. Founded in 1994, NextGen Healthcare is considered among the top medical billing software options. It helps to provide medical billing solutions that support a patient-centric revenue cycle. It enables practices of all sizes to succeed in today’s complex healthcare climate. The real-time clinical and administrative workflow of NextGen Healthcare reduces physician burnout and achieves reimbursement goals that are value based. This medical billing software can benefit you as it can help to automate the registration of patients, scheduling of appointments, medical billing, claiming processes, and reporting. The software can be deployed through Cloud, SaaS, and the Web by installing through Windows or mobile devices that have Android Native as well as iOS Native. The features that are offered include billing estimates, patient eligibility checks, management of claims, claim scrubbing, codes/charge entry, statements, collections, practice management, payment processing, payment history of patients, and remittance advice. Accounting Errors that can lead to Strategic Nightmares What Are The Best Practices For Cloud Hosting?